How is your Monday going? Mine is going great, but it won’t STOP snowing! I know, I live in Utah and I should be use too all this snow but enough is enough! It is beautiful but when it hits February, I start to dream about Spring. 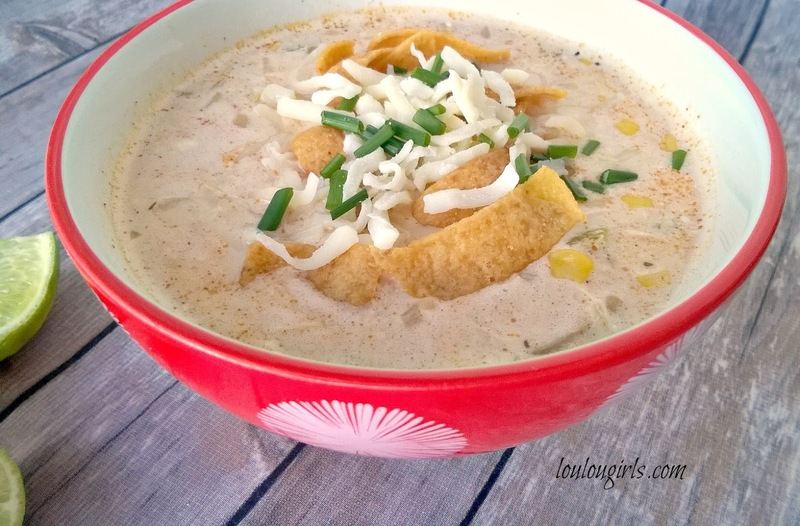 The good thing about this cold weather is the yummy soups that fit perfectly with this kind of day. This is my kind of comfort food on a frigid day like today! It’s so creamy and delicious that it makes my heart sing! I know, I’m being a little dramatic but it is so good! Usually we have leftovers and that can be such a delight but when I made this it was gone before the night was over. Heat olive oil in a large dutch oven or cooking pot on a medium heat. When the oil get hot add the onion, garlic, celery and saute for about 3 to 4 minutes. Add the chicken, chicken broth, green chilies, cumin, paprika, oregano, cayenne pepper and salt and pepper to taste. Bring to a boil and then quickly reduce heat and simmer for about 10 minutes. Add the cream cheese and stir until melted. Add the corn and 1 can beans, and then process the remaining can of beans along with 1/4 cup broth from the soup until it’s pureed, add the bean mixture to the soup. Stir to combine. Simmer about 15 minutes. Mix in the fresh lime juice. Top each bowl of soup with a generous pinch of cheese and chips. Enjoy!! Now this looks delicious! Don't think I've ever had anything like it. This soup sounds amazing Kim! Thanks so much for linking up at #OMHGWW Wordless Wednesday! We will just love your Chili! Thank you so much for sharing with us for our 5th Anniversary of Full Plate Thursday! Hope you have a fantastic week and hope to see you again real soon! Sounds amazing. Also, I am right there with you. We have so much snow that you can't even tell we have a fire pit in our yard. It's pretty tall too. I'm ready for warm weather. Thanks for linking up to Tips and Tricks. Pinning this. Hope to see you tonight. YUMMY! I've never made white chili before-(if you can believe it)-but I'm sure going to try your recipe, Kimberly! PINNING!! Sharing your lovely recipe! 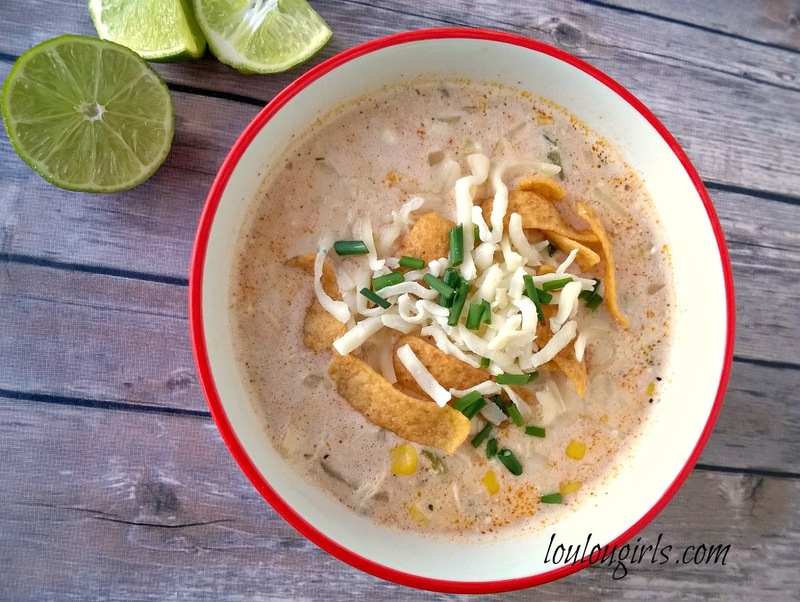 I have never made white chili before either but this looks so good! Thank you for bringing it to the Hearth and Soul Hop. Hope to 'see' you again this week! 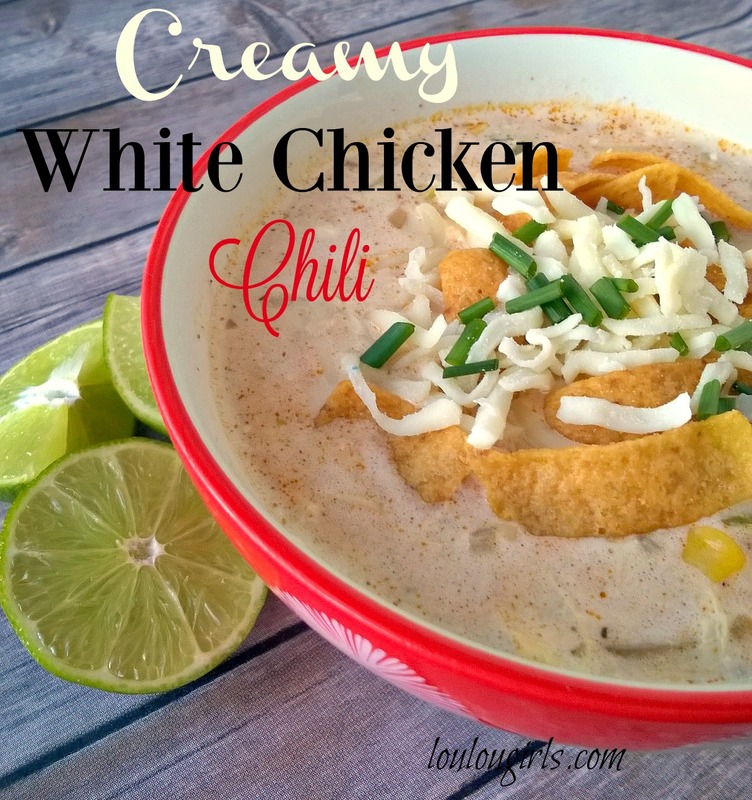 White chicken chili is one of my favs. I like it much better than traditional chili. Thanks so much for sharing your recipe with us at Funtastic Friday.